The Bent Pyramid at Dahshur was built during the end of 27th century BC by Sneferu, the father of Khufu, who built the Great Pyramid at Giza. 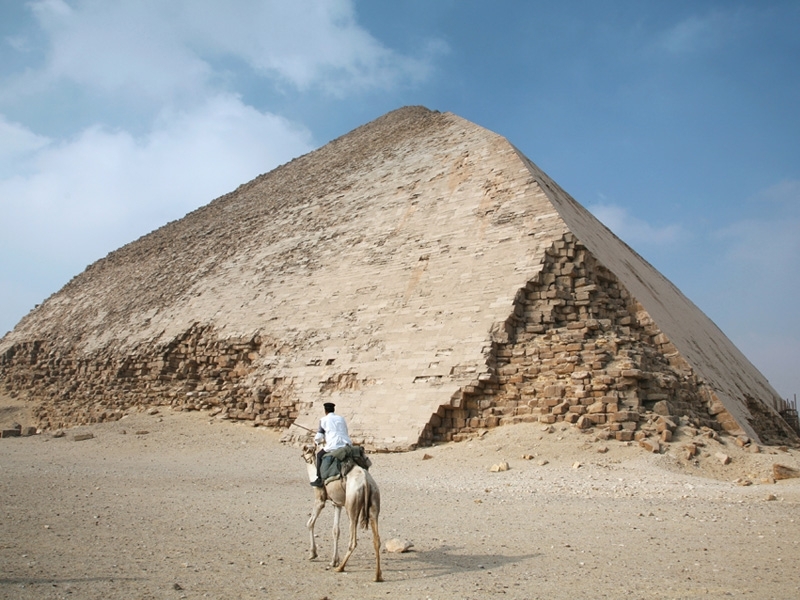 It is an important stepping stone in the development of pyramid construction. 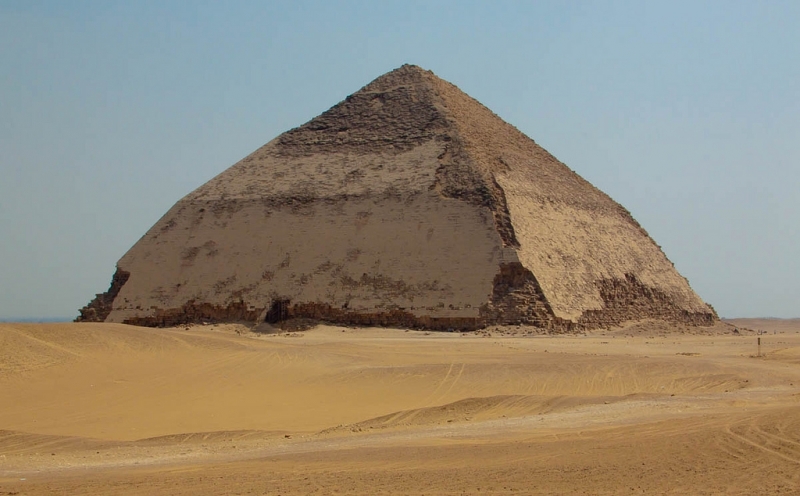 Sneferu built more than one pyramid at Dashur, but the Bent Pyramid was the first. 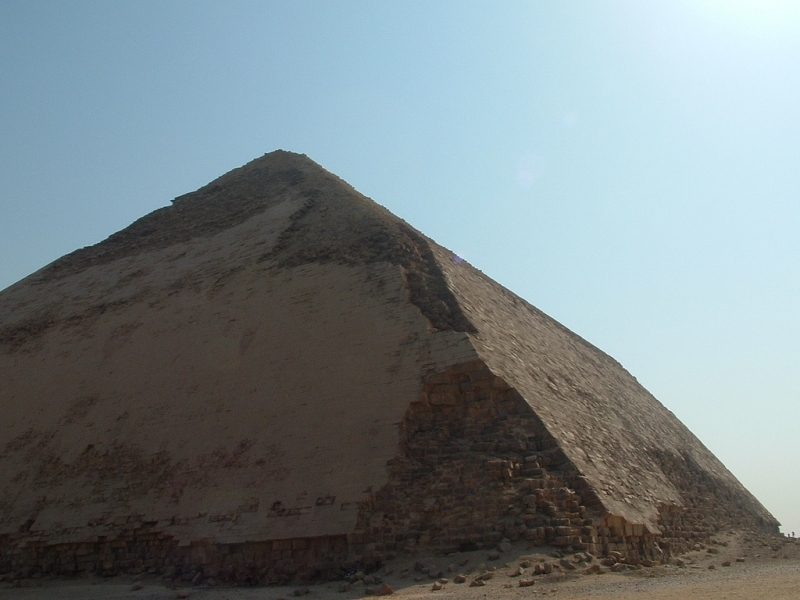 This was the second attempt by Sneferu to build a smooth-sided true pyramid. It is believed that the first attempt, at Meidum in Fayoum, collapsed during construction. This second attempt was also plagued by engineering issues, although it was eventually completed. 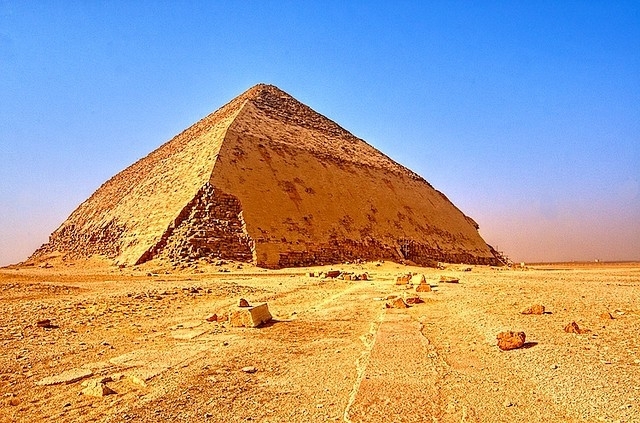 Sneferu’s builders were still learning and planned to built the huge structure with a steep inclination 54 degrees on each side. This proved unstable and caused them to abruptly change the plan in the middle of construction. 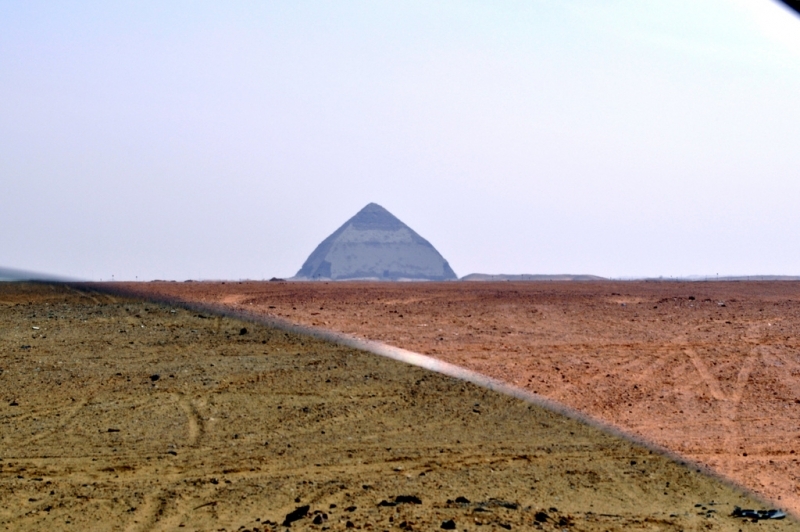 The Bent Pyramid gets its name from the fact that the angle of its sides shifts suddenly about one-third of the way up from 54 degrees to the more gentle slope of 43 degrees. 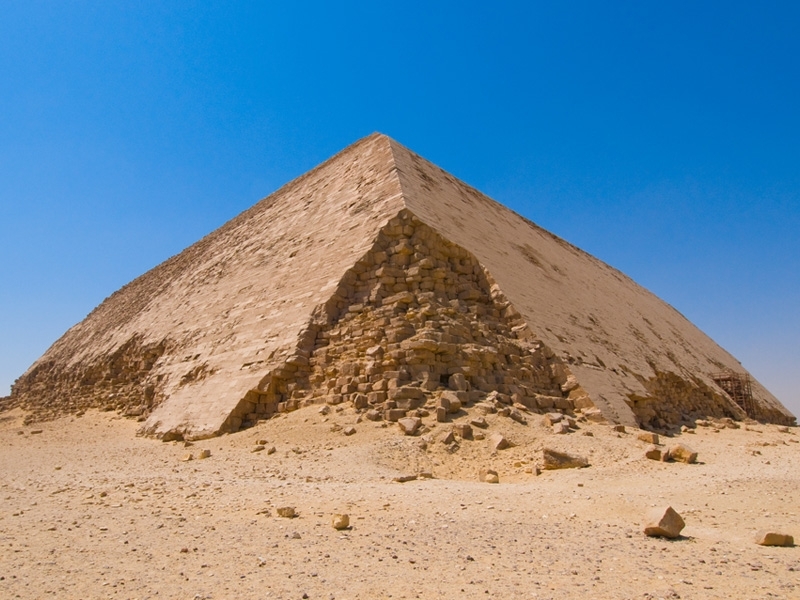 For this reason, the Bent Pyramid is considered a transitional pyramid, rather than a true pyramid. 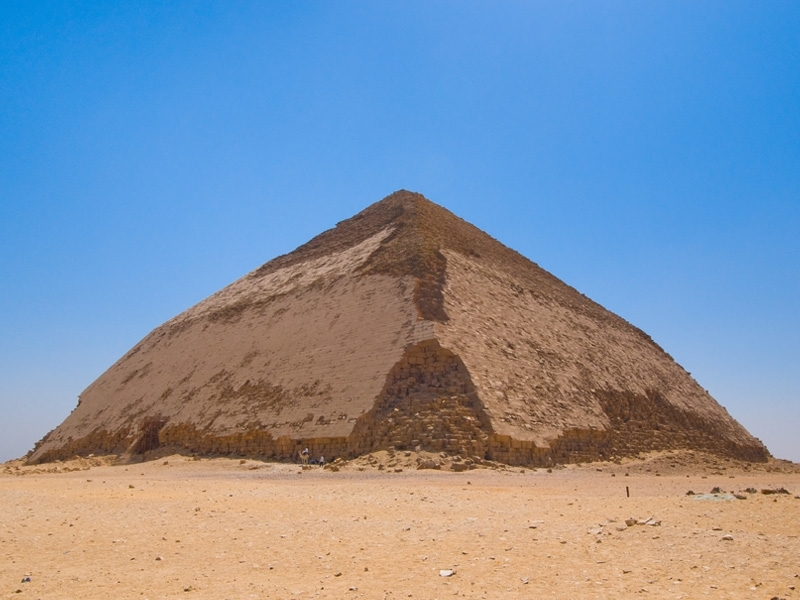 Despite this engineering mistake, the Bent Pyramid remains an impressive site. It is 332 feet tall and it is unique among all of the pyramids in Egypt in that much of its limestone casing remains intact so that visitors can get an impression of what all of the pyramids were intended to look like before these outer stones fell off or were taken for other construction projects.